Fort Ticonderoga has always had amazing history, but now the experience has caught up, making it worthy of a city escape by car or train. Sometimes the “Under New Management” sign is a good thing, though usually it means your favorite dive bar is closing. 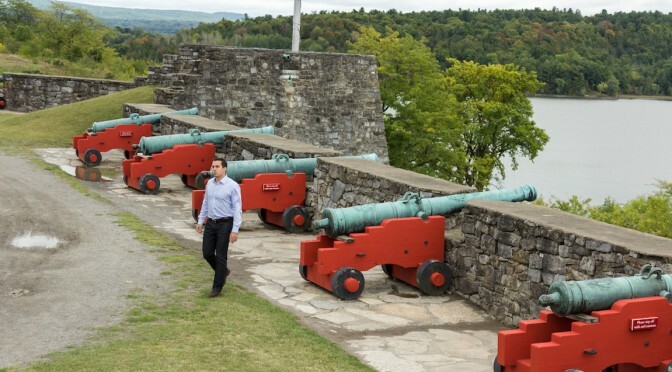 Much of the fort is restored and now there’s a King’s Garden, boat cruise, craft beer bar and much more to convince your lady it’s not a reenactment of Last of the Mohicans, which by the way takes place close by in the Adirondacks. If you’re both into hiking, canoeing, Vermonty type main streets, then even better. Everything takes place against an amazing backdrop and there’s a train that runs right up to the fort. Fall in the Adirondacks is an experience in of itself. A collage of color and a great way to unwind before the ensuing winter grind. No red coats were spotted!